It is rare that a single severe weather event has the potential to affect a majority of the vast KFYO daytime listening area. KFYO's daytime signal on AM 790 can be heard to the west into Eastern New Mexico, to the north past Amarillo into Dumas and Pampa, south to Monahans and San Angelo, and to the east past Abilene and Wichita Falls. 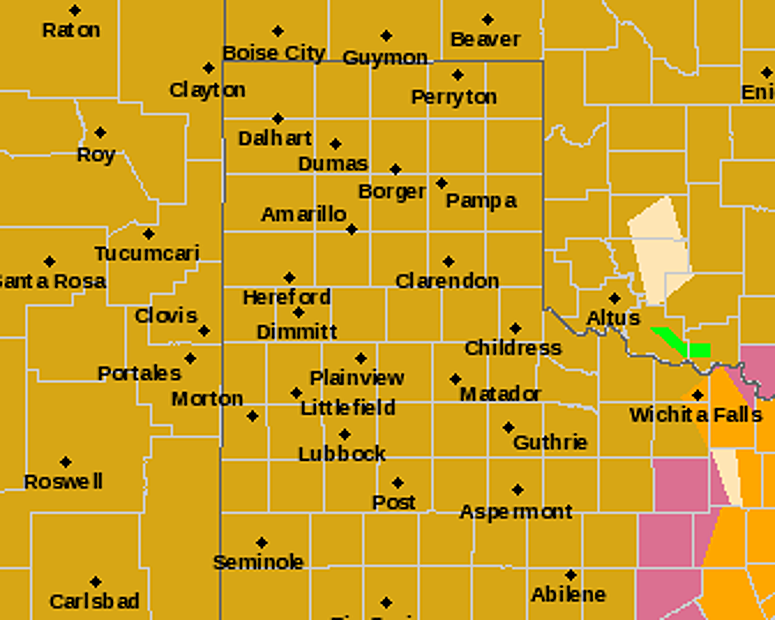 However, Wednesday's high wind event fits the bill, with High Wind Warnings in effect starting at 10am Central / 9am Mountain, and continuing until 10pm Central, for the following regions: South Plains, Eastern New Mexico, Texas Panhandle, Texoma, Big Country, Concho Valley and Permian Basin. Winds will be sustained out of the west from 40 to 50 mph, with gusts peaking anywhere between 60 to 75 mph, depending on the region. Also, blowing dust will impact driving conditions as well. Additional hazards include: minor structural damage, downed tree branches, and fallen utility lines. KAMC's Ron Roberts will have the latest severe weather updates Wednesday afternoon on News/Talk 95.1 & 790, KFYO; Talk 1340, and the rest of Townsquare Media of Lubbock.